Remind me to go through my resources a little more often. I realize that just last month I reviewed a Flash story that rolled out Kid Flash’s new yellow uniform, but as I was doing some research for an upcoming article for my other gig at BACK ISSUE magazine, what do I stumble upon but another Flash story that is not only fairly significant, but that I hadn’t even read before. Oh and before I forget, it struck me a bit later after the last review that while Beast Boy didn’t make it into the Teen Titans back in the day, he obviously gained admission later on. I’m not sure who came up with the retro idea, but good on ‘em. I’m sure he made his teammates proud. All right, back to the task at hand, which is to join the Flash in another adventure, facing off against two foes; one old and one brand spanking new. 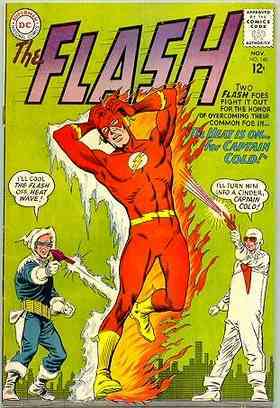 “The Heat is on…for Captain Cold!” was written by John Broome for #140, the November 1963 issue. Cover art by Carmine Infantino and Murphy Anderson with interiors again by Carmine but with Joe Giella on inks and edited by Julie Schwartz. This story, of course, contains the debut of Heat Wave. Things begin in domestic bliss with Barry Allen visiting his lady friend Iris West. They’re in her apartment having a “coffee cap,” because of course a nightcap would never have passed muster with the Comics Code. They’re watching a little tube when Iris snaps it off, telling Barry she doesn’t like the way he’s looking at the announcer, dubbed the TV Dream Girl. (No apparent relation to the Legionnaire in the 30th century.) Barry explains that he was waiting for her to turn around, realizes he kind of spilled the beans on the case he’s working on as the Flash and does a quick soft shoe to explain. His explanation includes the fact that the Flash had responded to an odd request sent out by a law firm who had been retained by a wealthy but deliberately anonymous client. He’d been involved in an ocean-liner accident, of all things, and his baby daughter Priscilla had gone missing. The client, Wilson Varner, was convinced she’d somehow survived the accident at sea and was obsessed with finding her, despite having only a distinctive diamond-shaped birthmark on the back of the child’s neck to use for identification. The trail had led to Central City, but then gone cold. Varner died, but his quest lives on as he left stipulations for a $2 Million dollar inheritance for her and $10 million to aid the poor of Central City if she could be located. The catch was that it was to be done under the radar, just like Varner had lived his life and she had to be found within one year. The year is almost up. In fact, it’s down to a single day, so the attorney has contacted the Flash to seek his super speed aid, adding that if the search fails, the money will revert to some undeserving louses in the family. The Flash agrees to try and Barry explains to Iris that he was also looking at a lot of female necks to try to help. Iris kicks the TV set back on, but “Dream Girl” has been replaced with another announcer who breaks the story that Len Snart, otherwise known as Captain Cold, was able to assemble a cold gun in prison and managed to create a white out, which Julie Schwartz explains is a condition of frigid zones caused by a combination of fog and suspended ice particles in the air. So now Flash has something else to occupy himself and after leaving Iris, a familiar scarlet uniform is deployed from Barry’s ring, rapidly expanding on contact with the air. 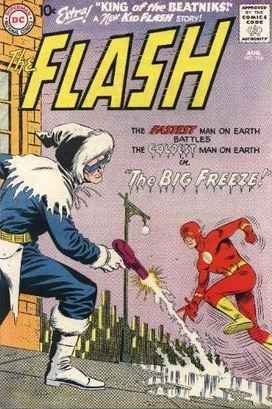 Soon, the Flash is on a super speed search for both Priscilla Varner and Captain Cold. Speaking of the frozen felon, Captain Cold is doing a little vicarious ogling himself, admiring a photo of “Dream Girl” in his hideout and thinking to himself that this is truly his dream girl, despite the fact that he’d had the hots (colds?) for other women in the past, such as Iris West herself in issue #114 and Miss Twist in issue #134. Snart had become aware of her through a magazine he was perusing in the lock up and read that she was smitten with the Flash. Well, that just wouldn’t do, so Leonard decided that he’d impress her by making a fool of the Flash, necessitating a jail break. His scheme is to intercept former officials of the collapsed government of Gaunador, who just happen to be on their way to Central City with all the bank notes they could carry. Of course it’s all over the news that they’ll be at the train station at 8 a.m., so the welcoming committee will include Captain Cold. Right on time, the train arrives and Snart uses his cold gun to cause the clouds to drop onto the police contingent as paralyzing ice. Just before he can leave with the cash, though, the Crimson Comet is on the scene, closing out Part I. Part II has our hero circling his foe at super speed and is just about to put the collar on him when he is abruptly interrupted by a blast of heat from another weapon. Stopping to see what’s happened, he is addressed by a guy in a white fire suit with an orange shoulder holster: “How about that hot reception, Flash? Allow me to introduce myself, the one enemy you will never conquer! Heat Wave—at your service!” He then lets loose with another blast from his weapon that knocks the Flash back with the force of a pile driver, leaving him unconscious. Captain Cold is delighted at the assist and recruits this new ally to help him carry away the spoils. Later in the hideout, Heat Wave tells of his origin as a circus fire-eater who grew bored with the job and for private reasons decided to take up crime. As a nod to his past, Heat Wave was born and he designed his uniform and weapon himself. Just then Heat Wave notices the poster of dream girl and remarks that she was the reason he quit the circus. He’d vowed to win her love by defeating her dream man, the Flash. As you can imagine, this doesn’t sit well with Captain Cold and moments later the two are firing at one another at point blank range with diametrically opposing weapons that effectively neutralize each other. Heat Wave stomps out of Captain Cold’s lair, throwing down the gauntlet that whichever of them can commit the most impressive crime in Central City will win dream girl. Later the Scarlet Speedster is on patrol after learning of the contest going on between his two foes. Not only is the clock ticking toward his finding Priscilla Varner, but he has two criminals on the loose who are wreaking havoc on Central City and each other, committing crime after crime and fighting each other, causing major damage to the surroundings. 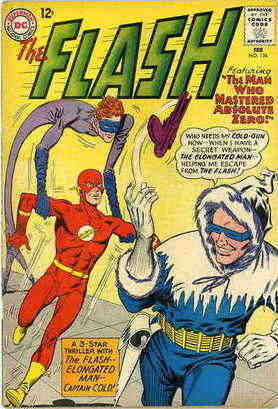 Shaking off the effects of the blasts, Flash now uses his arm to create a super-speed vacuum between the two villains, causing them to crash into each other and to say nighty-night. A drop off at the Central City jail and a quick interrogation revealing their intentions help the Flash to continue on his other task. The whole dream girl situation has been on the speedster’s mind, so he follows his hunch and meets up with her at her apartment. Unfortunately he sees right away that she doesn’t sport a birthmark on her neck. Just the same, Flash asks her about a recent leave of absence from the television station and a new hairdo when she returned. “That’s right, Flash! Oh it was supposed to be a secret—but I can tell you! You see, I had a birthmark removed from the back of my neck! After that, I could wear my hair in an upsweep!” She then pulls a photo from a drawer to show him and the Flash then shows her the photo that the law firm had provided and it’s a perfect match. She goes on to state that she grew up in an orphanage and has no recollection of her early life, but she does have a fear of the water. The Flash reasons that it’s due to the accident at sea and then scoops her up to race to the law firm offices before the sundown deadline. At the firm, the attorney is satisfied that the Flash has succeeded in finding Priscilla Varner and the tale ends on that happy series of events. This story had some elements that I consider classic and essential to a good Silver Age yarn. Colorful and powerful villains were present, and a new rogue was also introduced to Flash’s already formidable gallery. Some detective work was involved. Julie Schwartz was giving us some science lessons in the story. 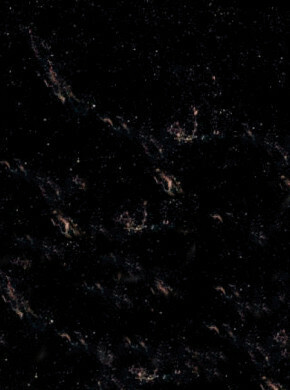 The Flash used not only his powers, but his intellect to get out of a tight spot. He was able to use his alter ego to good effect in deflecting his jealous girlfriend. Carmine Infantino and Joe Giella gave us some wonderful art, to include some attractive women and terrific detailed backgrounds. This story was a homerun and I give it a maximum 10 rating on the scale. Pure Silver Age goodness through and through. Next time I’ll choose from another series, but when I read this one and enjoyed it so much, I simply had to use it for this edition of the Silver Age Sage. That next review will come on the first and I’m always open to suggestion if someone has a particular story or character they’d like covered. Just shoot me an e-mail at:professor_the@hotmail.com.